It took the skills, stamina and ambition of two very different women -- one from an impoverished foster home in a Florida lumber mill town, the other from a wealthy family in Philadelphia -- to help create the first corps of female pilots to fly for the U.S. Army. The former, the record-breaking aviator Jackie Cochran, initially dreamed up the idea after hearing about the fall of Warsaw in the early weeks of World War II. She wrote a letter to First Lady Eleanor Roosevelt arguing that, in the eventuality of American involvement in the war, women pilots could fly military aircraft on support missions, releasing men for combat duty. Implicit in Cochran's letter was an offer to begin the planning for such a squadron. 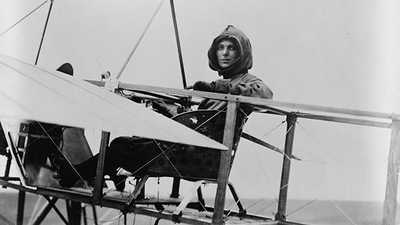 A young Boston-based pilot, Nancy Harkness Love, was the second driving force behind the creation of the WASPs. In May 1940, just months after the Second World War broke out in Europe, she wrote to Lieutenant Colonel Robert Olds who was setting up a Ferrying Command within the Army Air Forces. Love said she had found 49 excellent women pilots who could help transport planes from factories to bases. "I really think this list is up to handling pretty complicated stuff," she argued. "Most of them have in the neighborhood of a thousand hours or more -- mostly more, and have flown a great many types of ship." General Olds was intrigued. He took the suggestion to General Hap Arnold, who turned it down. Arnold argued that the most serious challenge facing the Army Air Forces was a lack of planes not a lack of aviators. Though ultimately a great champion of the women who flew for the Army, in August 1941 he wrote: "The use of women pilots serves no military purpose." It was the British who first demonstrated to America that women were more than up to flying military aircraft. By July of 1941, almost two years into the war, England was desperately short of pilots, and the flight schools couldn't keep up with demand. 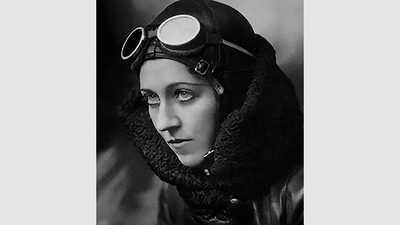 The Royal Air Force's solution was to use trained female aviators to ferry planes around the British Isles. The women's contribution was invaluable. They were moving planes around by the thousands with just a few minor accidents. In the summer of 1941, Cochran spent some time in London studying how that operation worked. When she returned to the U.S., President Roosevelt asked her to research ways of using female pilots in the U.S. Army Air Corps. The following summer Cochran returned to Britain, this time with 25 hand-picked American women recruits who would help ferry planes for the British Air Transport Auxiliary. In 1942 both Love and Cochran again independently submitted proposals regarding a female flying squadron. But this time their ideas met with much more enthusiasm. Encouraged by the British women's stellar performance and cognizant of the desperate shortage of pilots resulting from America's entry into the war, U.S. military leaders were more than happy to entertain enterprising ideas. Love and Cochran's suggestions were very different. Cochran's proposal, sent to General Arnold, suggested that the Army train a division of women pilots who would not only conduct ferrying missions, but who would ultimately be involved in all kinds of domestic military aviation operations. Love sent her much more modest proposal to Colonel William Tunner, who was in charge of the Army Air Forces Ferrying command. She suggested establishing a small ferrying squadron of already trained female pilots. Within months, Love's proposal was approved. In September she began pulling together a handful of experienced pilots, each of whom was required to have at least 500 hours of flying time, a commercial license, and a high school education. Almost simultaneously, General Arnold asked Cochran to return to the U.S. to establish a program to train women to fly according to military procedure. In November 1942, Cochran's new recruits began arriving at a dusty airstrip at Howard Hughes Field in Houston, Texas. Although they were recruited by the Army Air Forces to learn to fly military aircraft, they weren't considered military conscripts. They were given no accommodation, no transportation to base, no uniform, or even an allowance to buy uniforms. A few months into the program, the Army managed to cobble together some crude off-base housing. After the war one of these early recruits remembered being dismayed by the reception she received: "I don't think I'd put my dog today in the motel we lived in. It was just cruddy. All the rooms had double beds. We were assigned rooms, and here I was sleeping with some woman I'd never met before. There were rats in the motel. Still we were getting to fly; that was the big thing!" Within months the women's pilot school was transferred to Avenger Field in Sweetwater, Texas. Even though this was a training program, the women were required to be already in possession of pilot's licenses and to have a minimum of 200 hours of flight time in order to be accepted in the program. Over the course of its operation, more than 25,000 women applied to the training program of whom only 1,879 were accepted. 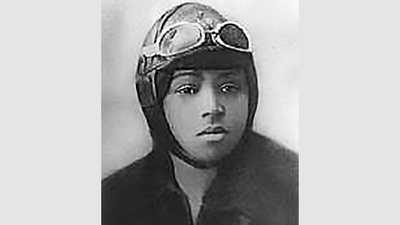 While Cochran's program was training women to fly the military way, Love's squadron was already flying ferrying missions. Their first job took place in November. The women took Piper Cubs from Lock Haven, Pennsylvania, to Mitchel Field, New York. Soon they were ferrying every model of military plane from the factories where they were made to bases across the country. 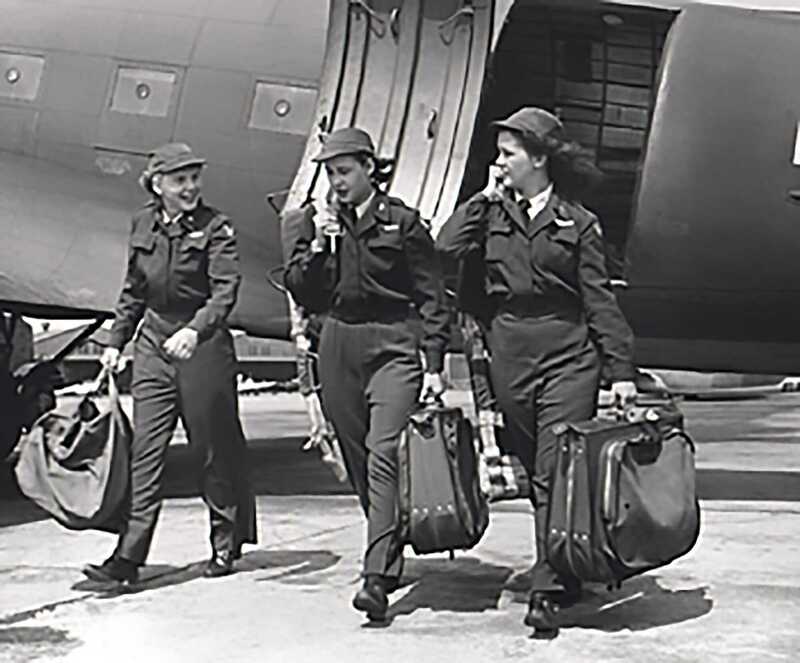 Each woman was issued a canvas bag which, when packed with winter flying suits and navigational equipment, often weighed 90 pounds. They would make their own way to the factory with this heavy load. Once they arrived on base, having completed a ferrying mission, they had to scout for a place to sleep. Sometimes they were lucky enough to find nurses barracks. Other times they had to look for hotels in town. In the summer of 1943, Cochran and Love's programs merged to form the Women's Airforce Service Pilots (WASPs). Cochran became director of the combined program; Love continued to head the ferrying operations. By the time the WASPs were disbanded in December 1944, they had flown a total of 60 million miles in 77 different types of aircraft. They had towed targets so fighter pilots could practice firing. And they had trained male pilots how to fly. They had established a safety record that slightly bettered their male counterparts,' and they had proved to have as much stamina and endurance as the men. In the course of this loyal service, 38 women had given their lives. It would be more than 30 years before the U.S. Air Force would again train female recruits to fly. In the meantime, U.S. military leaders totally overlooked the record set by Cochran and Love's pilots who had more than proved that women could and would fly for their country with as much dedication, courage, and aptitude as men. When she decided she wanted to learn to fly, Bessie Coleman traveled abroad to become the first African American female pilot.